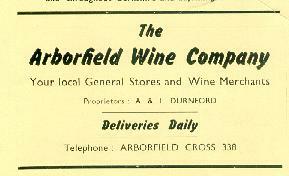 A shop has existed on its present site on Eversley Road for over 150 years. Click on this image to see an early postcard of the building before there was a need for a car park in front. Gradually, as the shop area has increased, it has taken over more and more of Beech House, with store rooms behind. Originally, there was a large rear garden, but this is now taken up by the bungalows of Brant Close. The photograph below was taken in 1994, the year of the Centenary Celebrations, when the forecourt was used to great effect serving teas. 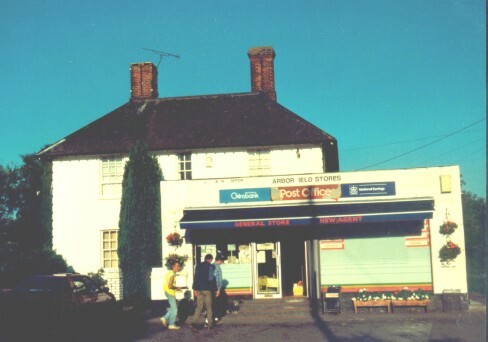 The shop has built up a regular clientele by serving bacon rolls and other snacks, though this trade suffered in 2004 because of the difficulty of reaching the car park during the building of the roundabout. 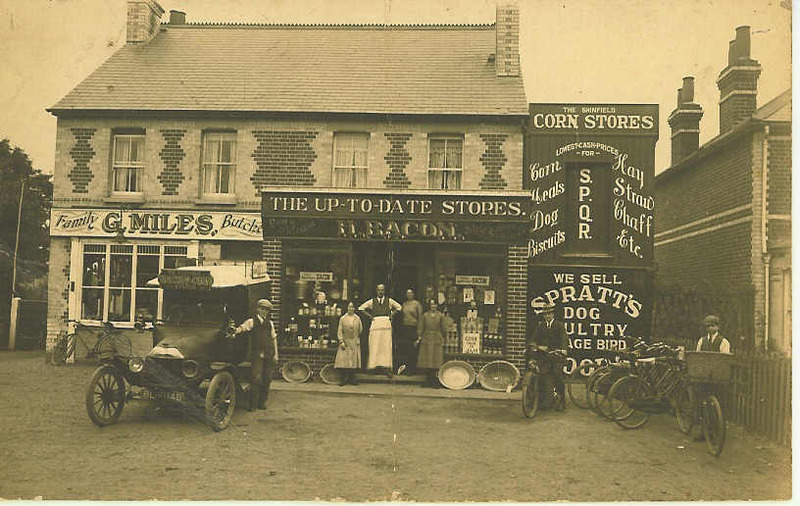 The Ashtons ran the shop as a family business with their son Paul and daughter Carol. Sadly, Paul died of a heart attack aged only 34 in 2003. 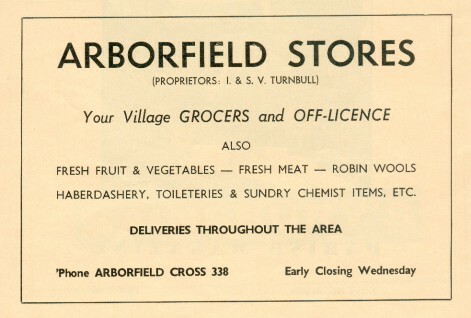 Until the Ashtons took over the business, Arborfield Newsagency was the only source of newspapers in the village. It was based in the old guardroom complex off Bramshill Close, and was run for many years by the Walsh family. Newspapers and a wooden building must have posed a serious fire risk, and towards the end, insurance for this site was very expensive. 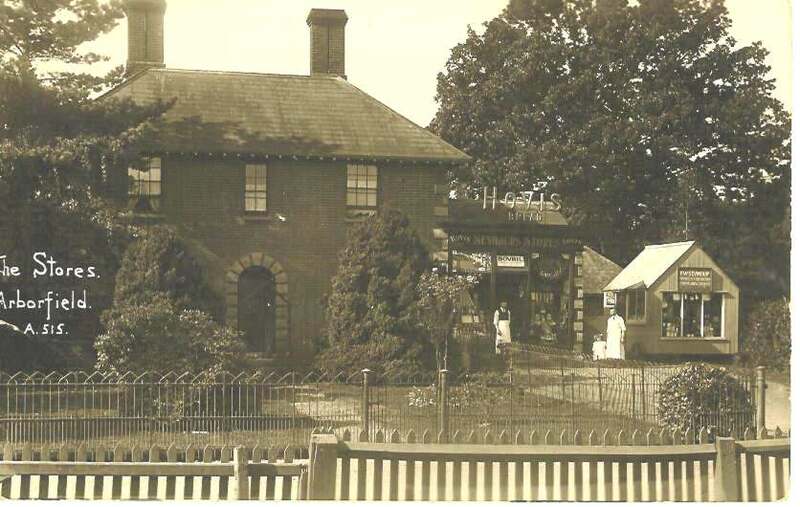 The Hall and other houses by Loddon Bridge were physically closer to the shops in Shinfield, run by the Miles and Bacon families. 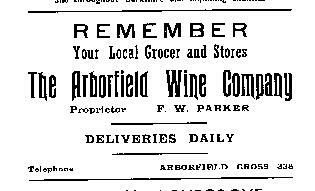 Born in Wokingham, Herbert Bacon grew on the other side of Arborfield in Commonfield Lane, close to Barkham Church. He delivered animal feeds over a wide area, and would have been a familiar figure around the village.